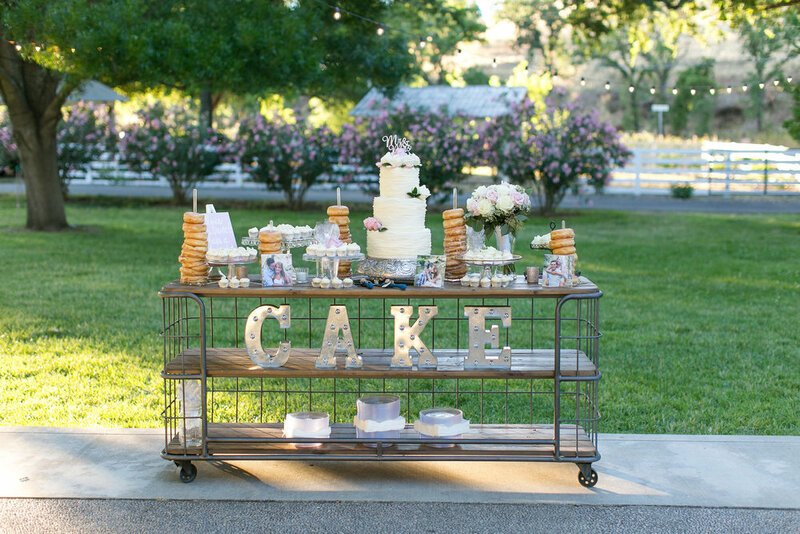 Are you a bride or fellow wedding professional in the midst of planning a wedding? Or maybe you are a mom of little ones trying to find enough time in the day to get everything done. This post is for you! I think one of the biggest compliments to receive as a wedding planner on a wedding day is, "You seem so calm and peaceful!" That phrase always makes me smile and reminds me that I truly found what I love to do. At most events, I really do feel calm and relaxed, but that's because a lot of hind-work has already gone into the big day! But don't get me wrong...some days are stressful. I am a wedding/event planner but I'm also a wife, mom, friend, sister, daughter...the list goes on. Sometimes it feels like the to do lists will never get done. So how do I avoid stress while planning a wedding (or even 10 weddings at a time)? Read on to hear some of the best tips and tricks I've learned. Oh my...I know what you may be thinking. "I have so much to get done, I don't have time to read a magazine, get coffee with a friend, go for a jog..." Logically, that may make sense, but it never works. Choose to not take care of yourself and it will show in the work you produce. Sorry for the harsh words! But it's true, as I've been there myself! We all have needs; we're human. If you're a bride planning a wedding this might look like sitting down with your fiancé every Monday for 90 minutes or so to tackle a bunch of your wedding to-do's. Even as someone who loves making checklists, I know first hand that looking over those lists can feel overwhelming at times. The best thing I've discovered is to set intentional time aside to work on those tasks at hand. You'll be amazed at how many phone calls, emails or tasks you can get done in a short amount of time when you're not distracted. So grab a cup of coffee, tea or wine ;) and get to work! As a planner, this one comes naturally for me but I know for some, it goes completely against their nature. (I married such a fun, spontaneous-natured man who is learning to plan ahead...LOVE YOU CHRIS!) When you plan ahead, you also give yourself some flexibility when something comes up and you 'miss' a deadline. If you want to have task X,Y,&Z done by a certain date, plan to have it done one week earlier. And give yourself grace if it takes you an extra day or two. After all, that's what that extra time is there for! I'd love to hear any questions or thoughts you might have around avoiding stress during wedding planning or even life in general. Comment or send me a message and let's chat! I'd also love to hear what tips and tricks you've learned in keeping stress at bay! 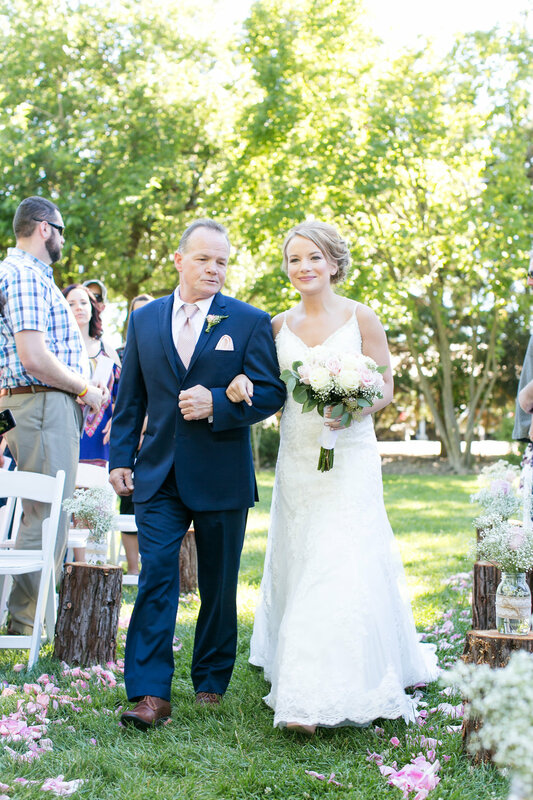 Brittany and David had a stunning wedding out at Gover Ranch in Anderson, CA this July. Everything looked stunning, from the menu cards, to the cake, to the floral arrangements. 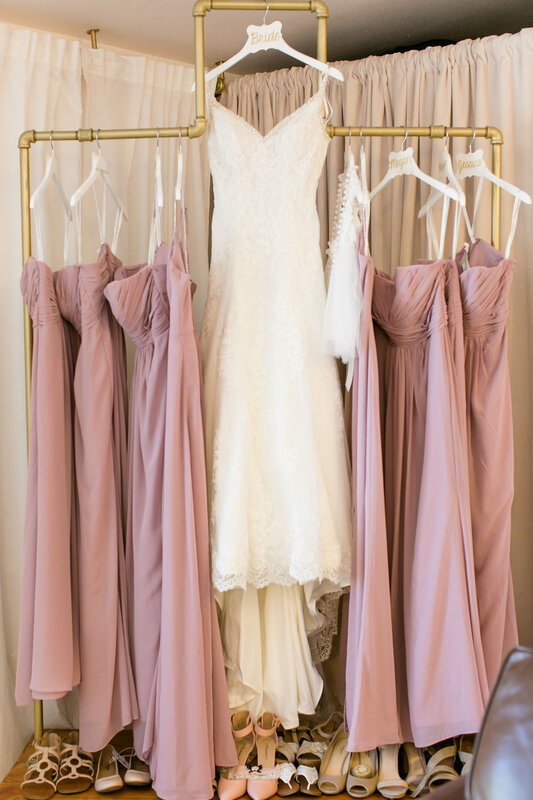 Brittany chose beautiful colors for her wedding. 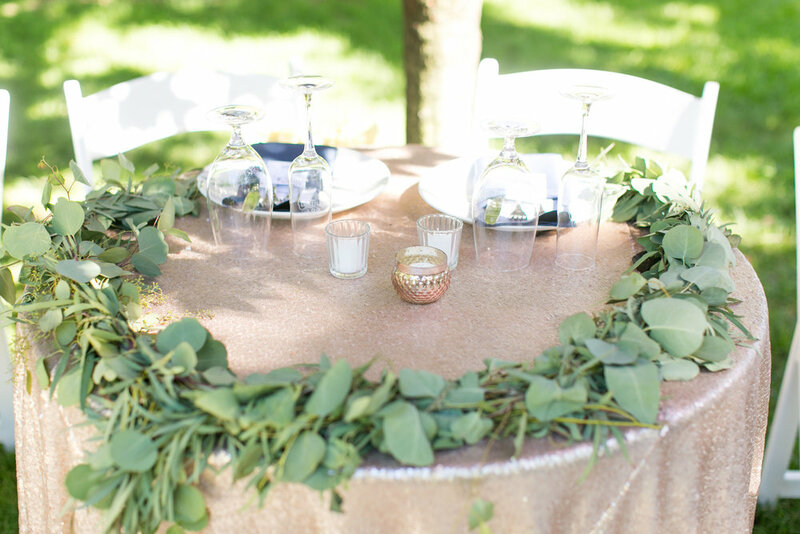 The rose gold, navy and dusty pink were the perfect color combination! One thing I love about Gover Ranch is the amount of space there is. 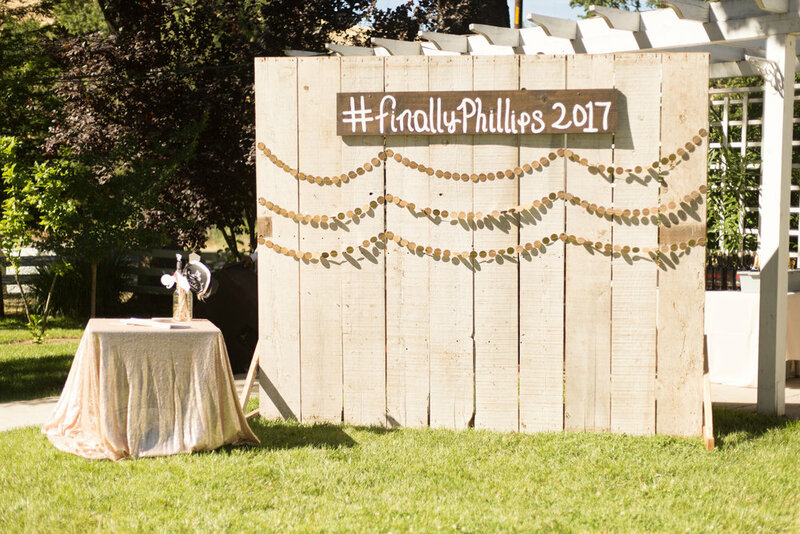 You can choose from multiple locations on the property to have your ceremony and reception space. And the getting ready room for the bride and her girls is the most gorgeous I've seen! And of course, ice cream to end the night!